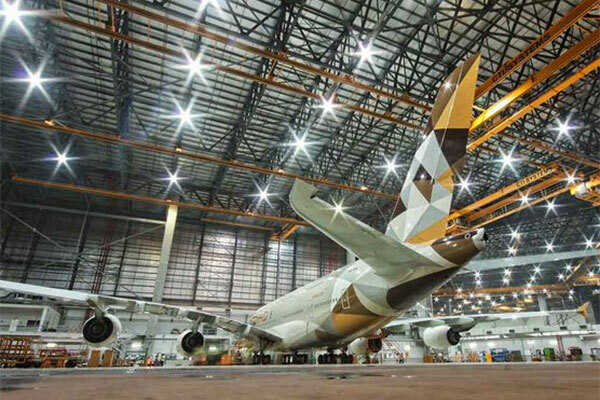 Etihad Airways Engineering and Airbus have signed a Memorandum of Understanding (MOU) to work jointly on the development of a new A380 MRO (maintenance, repair and operations) services offering in Abu Dhabi, UAE. With this partnership Airbus and Etihad Airways Engineering will combine their respective skills to offer the market a value-adding MRO service solution for worldwide A380 operators, starting in 2017. The partnership aims to establish A380 Maintenance, Engineering and Upgrades capabilities in Abu Dhabi to provide third-party support for airlines’ A380 fleets by providing them with efficient turnkey solutions. A380 customers will thus be able to have their A380 fleets’ heavy maintenance checks and upgrades installations performed concurrently ‘under one roof’ in Abu Dhabi. In addition, all necessary consumable and expendable parts (needed for the heavy checks and upgrades service bulletin embodiment) will be provided on-site by Airbus’ dedicated inventory management subsidiary – Satair Group. The service will also be particularly useful to those A380 operators who already have ‘in-house’ MRO capability, but whose own facilities are fully booked with work and therefore need to offload some heavy checks and upgrades to a third-party facility which is backed by Airbus.